J. Mayone Stycos was an early pioneer in the development of the field of population studies. Born in 1927, he graduated from Princeton in 1947 with a BA (honors) in Economics. 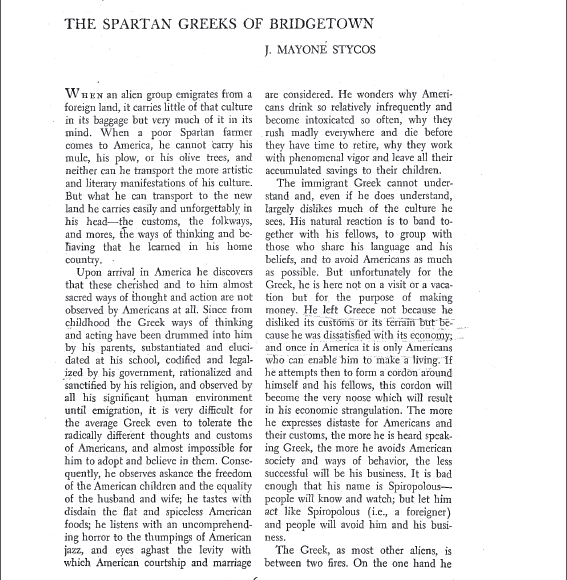 His senior thesis, “The Spartan Greeks of Bridgetown” was published as three articles in the Journal, Common Ground.